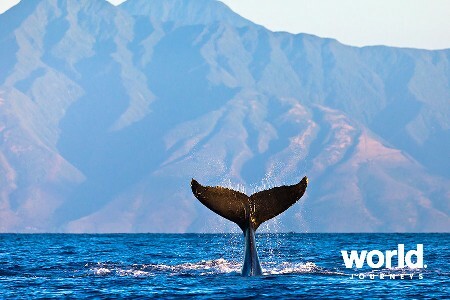 The highlights of this small ship cruise with UnCruise Adventures include: • Night snorkel with Giant Pacific Manta rays • the Humpback National Marine Sanctuary. • Evening pa'ina (feast) and Hawaiian jam session with Moloka'i locals. 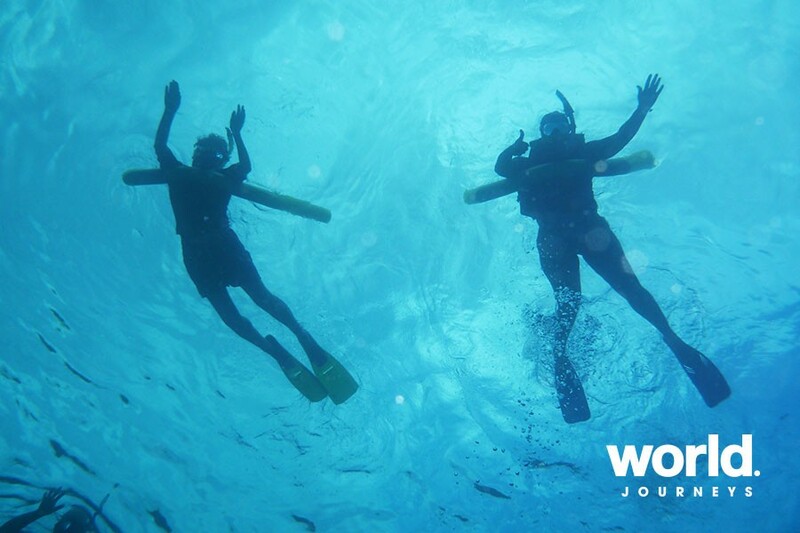 • Snorkel among coral gardens and at a sea turtle habitat. • Visit Moloka'os ancient Halawa Valley. • The Lana'i Culture and Heritage Centre. • Unparalleled snorkeling, kayaking, paddle boarding, and skiff exploration. Like a string of pearls pulled up from the sea, the jewels of your voyage are its exclusive amenities and unmatched encounters. And much like King Kamehameha did back in 1810 - uniting the the islands into a joyous kingdom - you'll follow suit, uniting the islands on a voyage of exploration, exchanges with locals, and learning about Hawaii's rich, Polynesian-influenced culture. Your inter-island yacht adventure with UnCruise Adventures promises to be filled with pleasantries, high quality service, and warm alohas. Day 1: Moloka'i - Embarkation Welcome to Hawaii! You'll be transferred to our hospitality area on Moloka'i. Later, the Captain and crew greet you with smiles and champagne as you board the awaiting Safari Explorer. This evening, settle in and enjoy dinner aboard the yacht, before a presentation about your week ahead. Day 2: Moloka'i A warm Aloha spirit gives you a sense of Hawaii long ago. No stop lights, no high-rises, just a welcome slower pace. "Talk story" with locals and experience their land and traditions as few visitors ever do. You'll hear legends and lore, then take in a cultural lessons in taro patches and poi making, or hike to a towering waterfall in Halawa's cathedral valley-one of the island's most historic places. 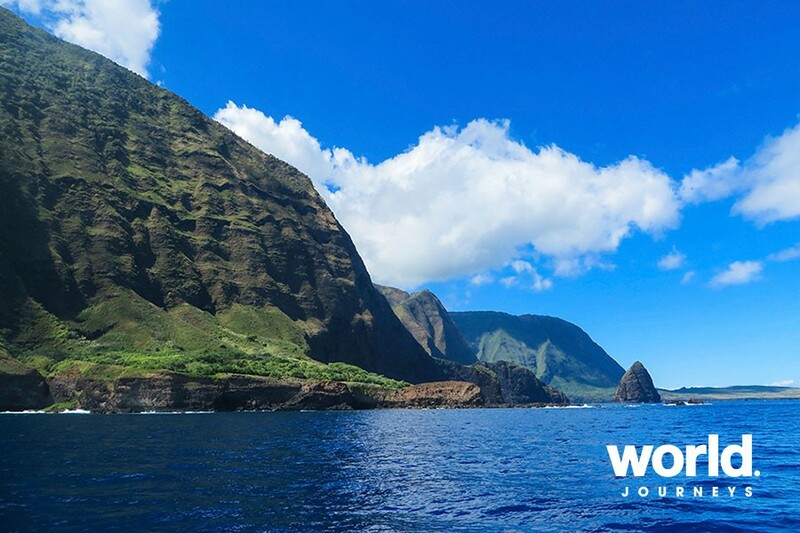 At the Moloka'i Museum, discover the history of this ancient homeland as you enjoy an evening pa'ina (feast), complete with a home-style Hawaiian jam session. Day 3: Lana'i Gear up for a day of play on the "Private Island. " Thousand foot sea cliffs line the shore and ancient volcanic plugs sit both above and below the water's surface as host to a wide diversity of marine life. Snorkel, paddle board, kayak, explore by skiff, or stretch your legs on hike - whichever activities suit your fancy. Take a stroll to Sweetheart Rock, a sea stack jutting 80 feet above the crashing surf, and discover the legend of the princess Puu Pehe. Learn about the islands plantation days with a visit to the quaint Lana'i Culture and Heritage Centre. 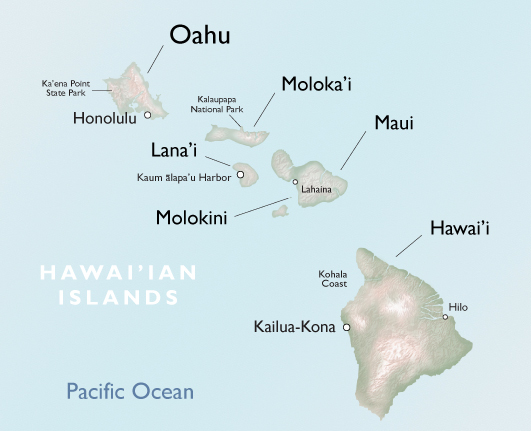 Day 4: Olowalu / West Maui In ancient times, Olowalu was considered a place of refuge. Today, it delivers a treat of snorkeling among coral gardens teaming with underwater life and a known sea turtle habitat. 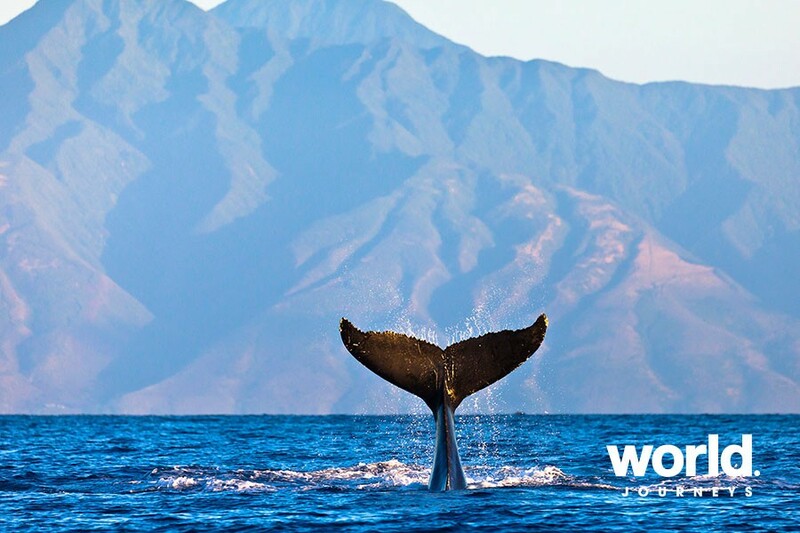 The Humpback National Marine Sanctuary-located between Lana'i, Moloka'i, and Maui-provides front-row seats as you cruise through these productive marine breeding grounds searching for dolphins, whales, and other marine life. Day 5: Captains Choice Exploration Leave it to your Captain and crew to seek out and unveil the best opportunities the islands hold in store today. 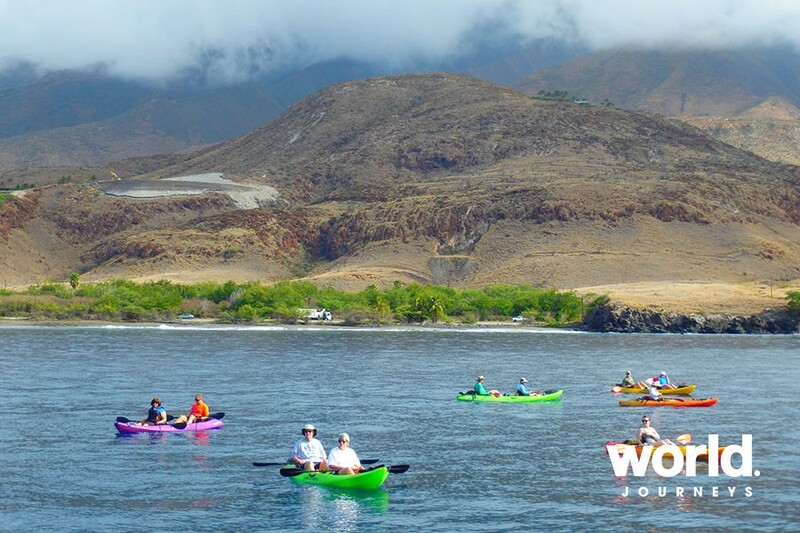 Dramatic volcanic backdrops, marine life sightings, and chances for snorkeling, kayaking, and paddle boarding are all possible! Day 6: Honomalino Bay Fringed by coconut palms, Honomalino Bay offers a morning of snorkeling, paddle boarding, and kayaking. The bay reveals a diversity of colorful corals, sponges, and tropical fishes. 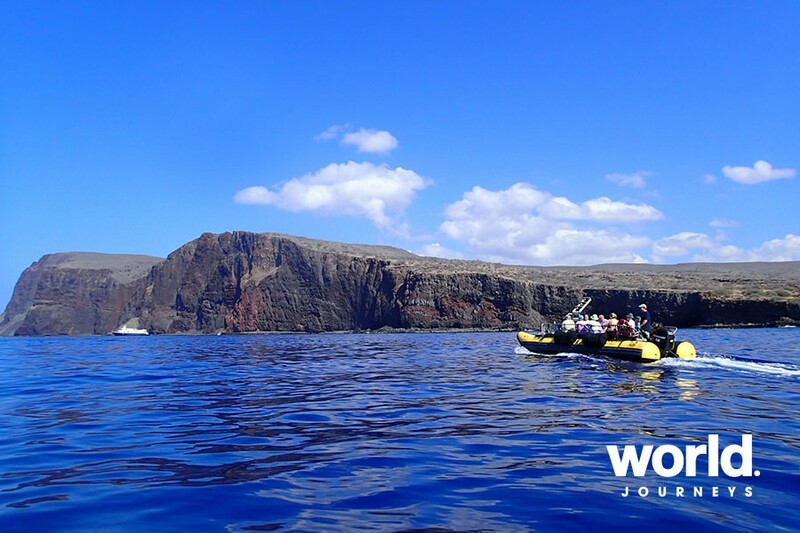 Lava tubes, kayaking, and skiff tours fill out your day of adventure - in an area known to be favored by marine mammals. This evening you'll anchor at an offshore location for a thrilling night snorkel with Giant Pacific Manta rays. Day 7: Kailua-Kona Skiff to Kealakekua Bay, where Captain Cook was slain in 1779, for some of the island's best snorkeling. At Kailua-Kona, stroll through town at your own pace, and uncover the charm of this historic town. This evening, celebrate with the Captain's Dinner and photographic recap of your adventure. Day 8: Hawaii, the Big Island - Disembark As the Safari Explorer docks at Kawaihae Harbor, you'll be transferred to the Kona Airport. Day 2: Kailua-Kona Skiff to Kealakekua Bay, where Captain Cook was slain in 1779, for some of the island's best snorkeling. 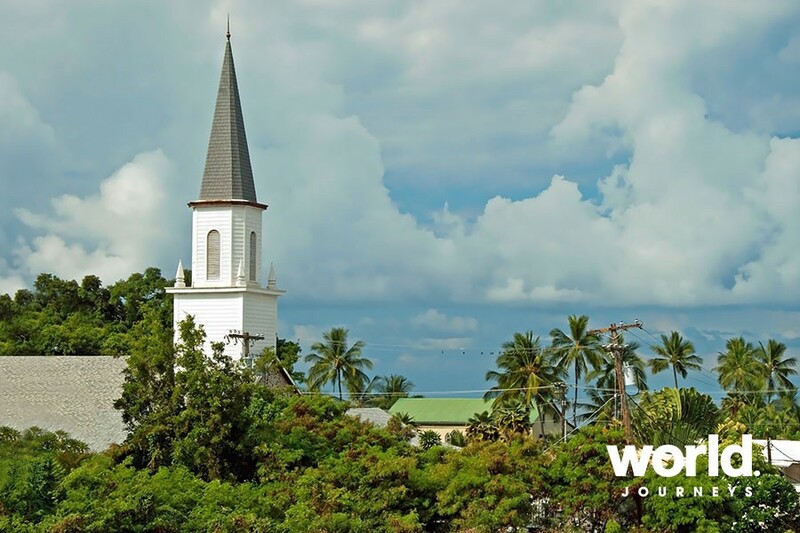 At Kailua-Kona, stroll through town at your own pace, and uncover the charm of this historic town. This evening you'll anchor at an offshore location to search for and night snorkel with Giant Pacific Manta rays. Day 6: Lana'i Gear up for a day of play on the "Private Island. " Thousand foot sea cliffs line the shore and ancient volcanic plugs sit both above and below the water's surface as host to a wide diversity of marine life. Snorkel, paddle board, kayak, explore by skiff, or stretch your legs on hike - whichever activities suit your fancy. Take a stroll to Sweetheart Rock, a sea stack jutting 80 feet above the crashing surf, and discover the legend of the princess Puu Pehe. Learn about the islands plantation days with a visit to the quaint Lana'i Culture and Heritage Centre. Cap off the day and celebrate this evening with the Captain's Dinner. Day 8: Moloka'i - Disembark Gather for breakfast before the Safari Explorer docks on Moloka'i, where you'll be transferred to the Moloka'i Airport. 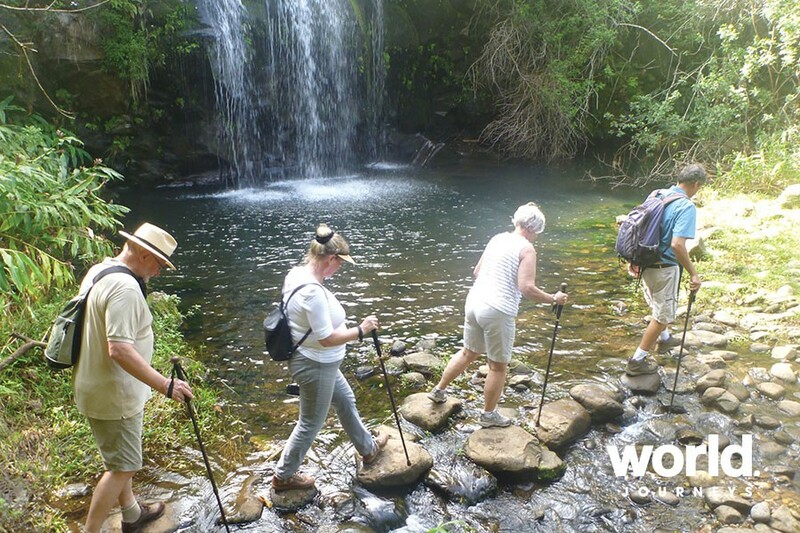 Adventure Cruising Focused on experiencing life on the outside - rain or shine - we offer different destinations, a mix of price points (some generously inclusive) and an exciting range of multi-sport activities. Kayaking, stand-up paddle boarding (SUP), hiking, snorkeling, inflatable skiff excursions, and cultural encounters top the agenda. Our experiential cruise vacations are delivered from a variety of platforms, and depending on your choices, will accommodate you from 22 to 84 like-minded guests. We provide the adventure, equipment, opportunities, fun, expert crew, expedition guides, and the vessel. The rest... is up to you. Safari Explorer Designed for comfort, with an elegant atmosphere, and in the spirit of adventure, the Safari Explorer is a perfect platform of discovery. Three public decks make it easy to see action in the water and provide plenty of room for relaxing and breathing fresh air. An intimate Wine Library, salon, and inviting dining room encourage mingling and camaraderie among guests. • Our recommendations for gratuities is USD 25.00 to USD 35.00 per person per day.